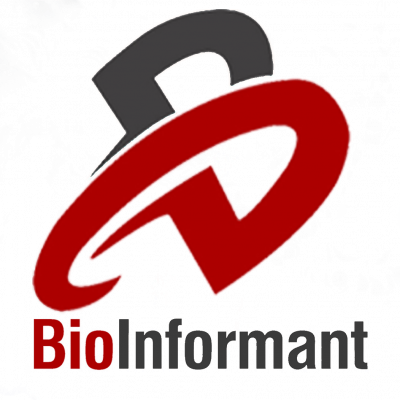 For more than a decade (2006 to present), BioInformant has tracked the market for stem cell research products. As part of this research, we survey stem cell scientists to identify their needs for research products, tools, and reagents. A distinctive feature of this end-user survey is that all 289 respondents identify as having stem cells as their research focus. The survey reveals the requirements, technical preferences, and factors influencing buying decisions among stem cell scientists. If you are selling research tools into the stem cell marketplace, you need access to these findings. To offer targeted products to stem cell researchers, you must understand the minds of your prospective clients. The global survey included 97 U.S. responses and 173 international responses (with 19 uncategorized respondents) for a total of 289 responses. While these results were collected in mid-2014, continued sampling of the target audience confirms they remain true today. To date, our clients has used these findings to make more profitable product development decisions, create targeted marketing messages, and produce higher prospect-to-client conversion rates. To make this offer irresistible, we are offering it for $289, only $1 dollar per response. There is no way you could execute a targeted survey of this nature for $1 per response, so claim these product insights today. Question 1 – What region are you from? Question 2 – Which of the following describes your industry affiliation? Question 3 – How long have you been conducting stem cell research? Question 4 – Do you perform basic or applied research? Question 5 – Which of the following best describes the focus of your stem cell research? Question 6 – What is your preferred species for stem cells utilized in your research? Question 7 – What kind of culture do you use for your stem cell research (feeder-dependent vs. feeder-free culture)? Question 8 – How often do you purchase stem cell products? Question 9 – How much do you spend annually on stem cell products? Question 10 – What type of model(s) do you use for your applied stem cell research? Question 11 – If you do applied stem cell research, which of the following best describes your research? Question 12 – If you do drug development and discovery, which of the following best describes your research? Question 13 – What is most influential in your choice to purchase from a specific provider of stem cell products (over other companies available)? Question 14 – What is your primary method for making stem cell product purchasing decisions? Question 15 – What is your preferred provider for purchasing stem cell products? Question 16 – When purchasing stem products, have you ever responded to the following? Question 17 – Which of the following phrases would be most influential to cause you to buy? Claim these survey results to acquire an understanding of stem cell market trends, efficiently target emerging opportunities, and accurately identify the current and future needs of your client base. Pricing starts at $289 for a Single User License (only $1 per respondent). Remember, all BioInformant products come with a Greater Than 100% Money Back Guarantee. If the strategies and tools aren’t helpful to you – we’ll cheerfully refund your money, and you can keep the product. BioInformant is the first and only market research firm to specialize in the stem cell industry. BioInformant research has been cited by major news outlets that include the Wall Street Journal, Nature Biotechnology, Xconomy, and Vogue Magazine. Serving Fortune 500 leaders that include GE Healthcare, Pfizer, and Goldman Sachs, BioInformant is your global leader in stem cell industry data. To claim this report, fill out this Purchase Form or select the License Option you prefer from the pull-down menu below to claim instant access to this survey.